While the golfer in the family is out on the course, try one of the other recreational amenities offered, such as an outdoor pool or an outdoor tennis court. Additional features at this hotel include complimentary wireless Internet access, concierge services, and babysitting/childcare (surcharge). The beach shuttle (surcharge) makes getting to the surf and sand a breeze. Featured amenities include dry cleaning/laundry services, a 24-hour front desk, and multilingual staff. A roundtrip airport shuttle is available for a surcharge. This property is 1 minute walk from the beach. Set on the beachfront, in the centre of Marbella's old town, this adults-only hotel offers a spa and outdoor swimming pool. Amare Marbella Beach Hotel - Adults Only features free WiFi. The modern, stylish rooms are spacious and bright, and most rooms have a balcony with side or front sea views. The hotel also offers Exclusive Rooms, which include VIP treatment and access to the adults-only The One Lounge. 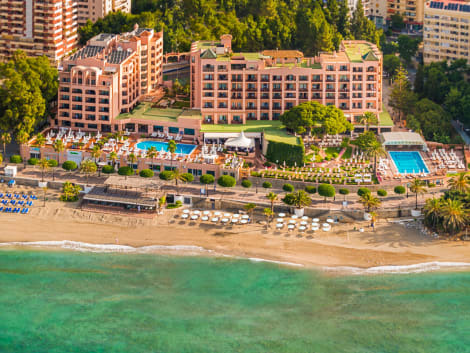 One of the hotel´s main attractions is Amàre Club, divided into 3 areas that combine music and entertaining by the sea. 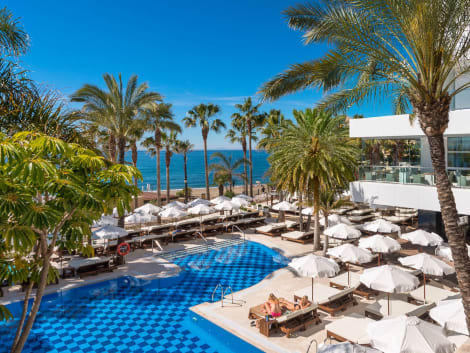 Amàre Beach Hotel Marbella offers restaurant and sun bathing areas, and Amàre Pool has an outdoor swimming pool and a sun terrace. The Amàre Lounge, a relax area with a bar and café, which also features evening entertainment. The Mare Nostrum Restaurant offers international cuisine with Mediterranean touches. You can also enjoy stunning views of the sea at the Belvue Rooftop Bar, specialised in cocktails. Restaurant Messina, awarded with a Michelin star, also offers a menu by chef Mauricio Giovanini. A wide range of treatments are offered at the on-site spa, by Germaine de Capuccini. The hotel offers a range of activities for adults in Marbella, including live music shows, themed parties, and more. There is an electric car charging point located 200 m away. Málaga Airport is 52 km away, and the hotel can arrange a private shuttle service on request, for a surcharge. Featured amenities include complimentary newspapers in the lobby, dry cleaning/laundry services, and a 24-hour front desk. Planning an event in Marbella? 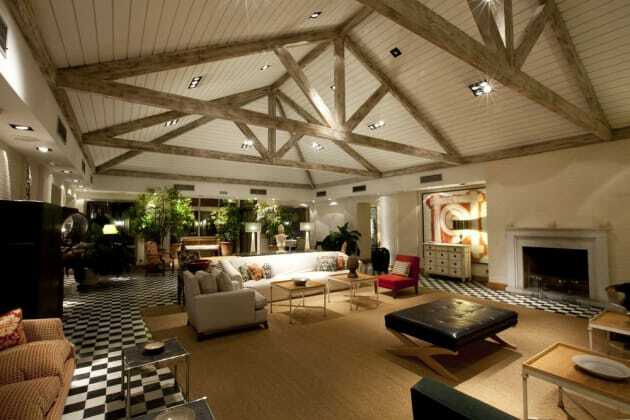 This hotel features 1474 square feet (137 square meters) of event facilities. Self parking (subject to charges) is available onsite. This property is 3 minutes walk from the beach. Hotel Fuerte Marbella enjoys a superb beachfront location in the centre of the old town. It offers free WiFi, views of the sea and 2 swimming pools. The central location of this hotel means it is surrounded by shops and restaurants. It is just 7 km from the lively Puerto Banús with many bars and clubs. Málaga Airport is 40 minutes’ drive away. Private airport transfers are available for an extra cost. 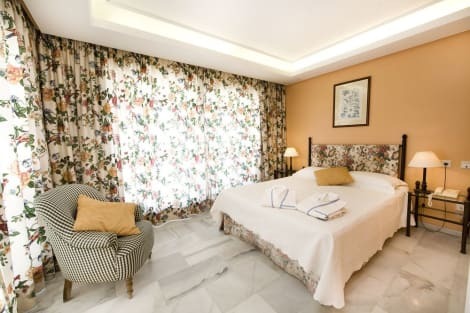 All air-conditioned rooms at Hotel Fuerte Marbella feature a private bathroom with amenities and a hairdryer. They also feature satellite TV and free safety deposit box. 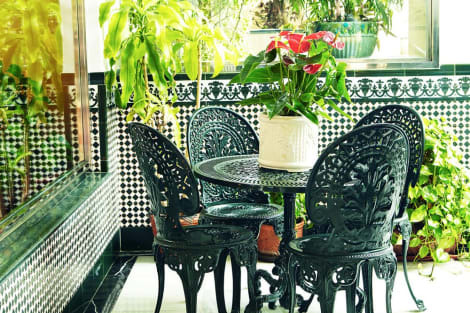 Hotel Fuerte Marbella is surrounded by large gardens. You can also use the padel court for an extra cost. There is also a children's club for guests aged from 4 to 16, involving creative activities. The El Olivo restaurant offers a buffet breakfast and a changing dinner buffet menu. It also has show cooking. Fuerte Marbella has a piano-bar, a coffee-shop and the Beach Club Restaurant which specialises in fish and paella. Guests can receive special prices if they wish to play at golf courses in the area. The hotel also offers visits to the old town. Hotel Fuerte Marbella has a charging point for electric vehicles.